It's time to monkey around with Go Ape! This treetop adventure includes zip lines, Tarzan swings, giant rope nets and general monkey business. 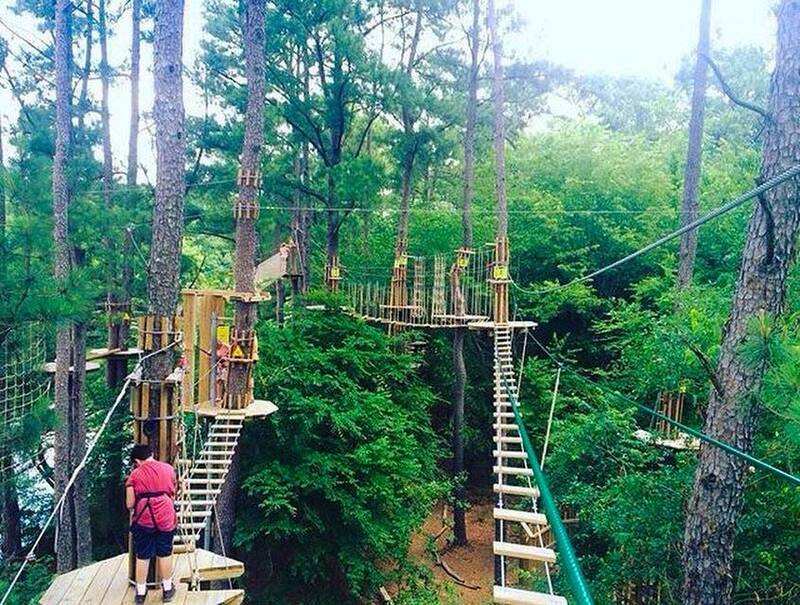 You'll climb, zip line and swing through the trees on a giant obstacle course constructed of rope, wood, walkways and very strong wire. You'll be trained and fitted into a harness that will allow you to safely go through the course.